Get in on the beautiful trend of creating a driveway or patio with texture and color that is different from anything else. Consider using an exposed aggregate concrete mix for your next repaving project around the house or around your business. What is exposed aggregate concrete? It is a combination of many different materials that are aggregated from natural, manmade or recycled source. The aggregated concrete can be made of concrete, sand, gravel, sand and crushed stones. Decorative exposed aggregate concrete mixes are made of these and give eye-catching effects for a low price. Exposed aggregate concrete mixes set and look just like granite or marble. The transformation occurs once the mix is poured, dries and is polished. The beauty is undeniable whether the product is made of natural or manufactured materials, although many people choose recycled exposed aggregate concrete for its low-impact on the environment. The process of using exposed aggregate for decorative outdoor purposes has been around for over 100 years. This was done before stenciling or stamping were put into practice in concrete pouring. This trend has given way to the creative way in which exposed aggregate concrete mixes can be used to add artistic touches to many facilities. As for the safety of the aggregate, it is skid-resistant and durable. The finish used to complete the project can be used reliably to create beautiful sidewalks, driveways, pool areas and patios. The different types of aggregate exposed mixes can be made in a variety of colors. They can be in shades of gray, black, and tan. The colors have to do with the stones used in the mix which might be quartz, granite, basalts and even recycled glass or seashells. 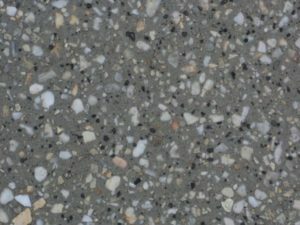 For those mixes that are derived from these natural aggregate sources, the colors might include reds, pinks, or rose-colored hues. Some even appear to be blue. The colors available are virtually endless and will suit any outdoor application that can be imagined. Mixes are also differentiated by their size, shape, and hardness. Sizes range from fractions of an inch to about two inches in diameter. The shape of the mix will affect the pattern and the texture of the project. While the color and size have to be taken into account, the shape does, too. Those aggregates that are rounded will offer a smoother appearance. Aggregates with angles create more of a dimension and textured appearance. The availability of the aggregate from local sources also determines the variety of mixes available. It is usually most economical to choose locally produced concrete aggregate mixes. Exposed aggregate concrete mixes are becoming a trend for obvious reasons. They do much more to add beauty to an outdoor surface than traditional concrete or asphalt. 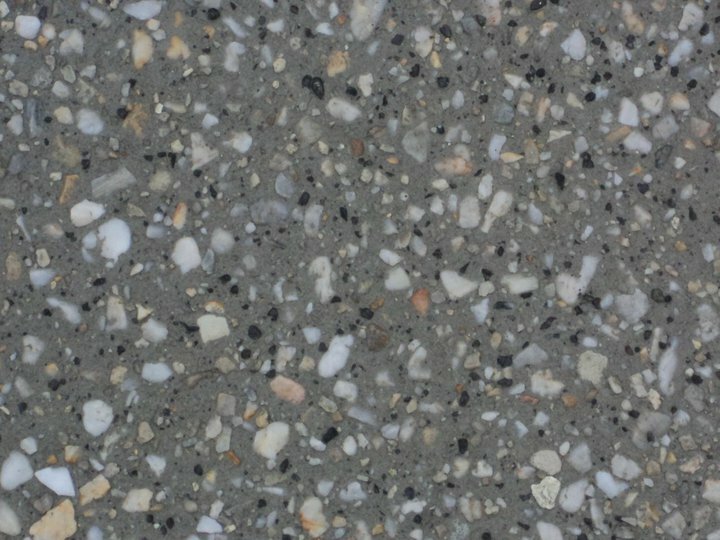 There are so many varieties of exposed aggregate concrete mixes to choose from. When they are derived from recycled sources, it is good to know that the end project is made from materials that did not use up non-renewable energy source to make. Previous Previous post: What Are The Qualities Of A Good Concrete Contractor?